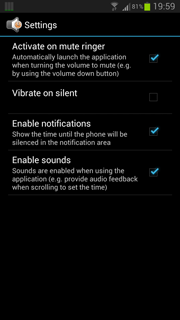 Silent Mode - Silence your phone for a while! Never again miss an important call because you forgot the ringer off. Turn your phone on silent mode for a period of time. Useful when going to a movie, attending a meeting or when sleeping. 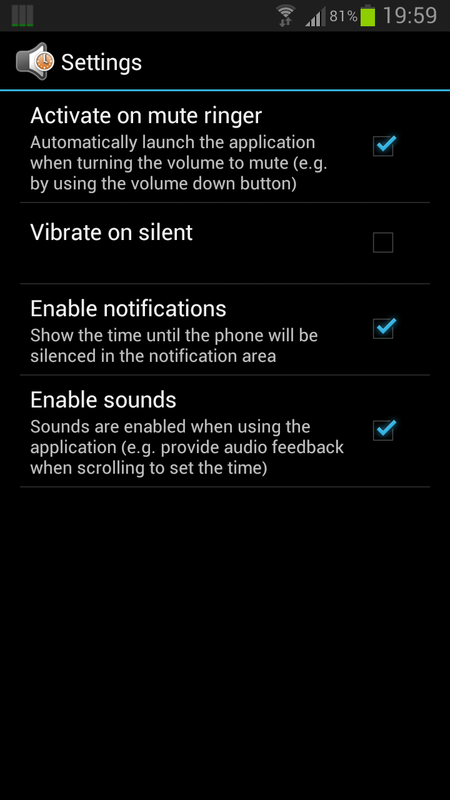 Simply set the phone to automatically come out of the silent mode afterwards. Requires Android 2.2 and higher. 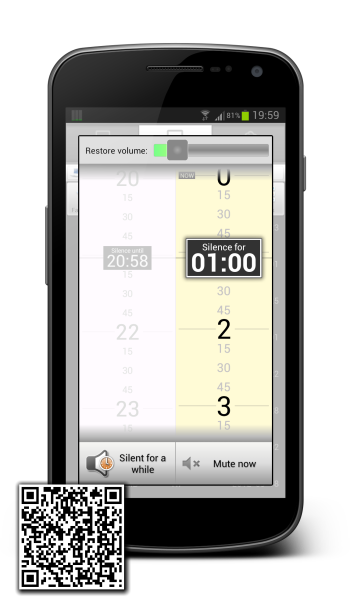 Silent Mode is a free Android app that will allow turning your phone on silent mode for a period of time. When you silence your phone by using the volume buttons you'll be able to tell when the ringer will be back on. Don't miss calls anymore. Let the app remember when to go out of silent mode.